The activity for this week was to make a fiber art creation that can hang on the wall. I decided to YouTube fiber art wall hangings to get ideas or learn how to make a specific one. I watched this video that showed how to make a simple fiber art creation and all I needed was a dowel,white yarn, scissors and rit dye. First, I cut long pieces of yarn and folded it in half. 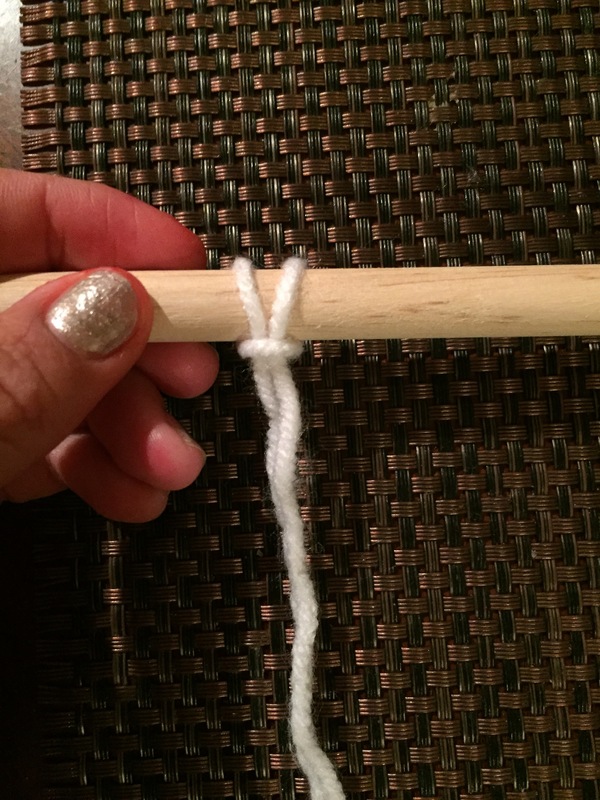 Then I tied each piece of yarn on the dowel. I included pictures of the process below. 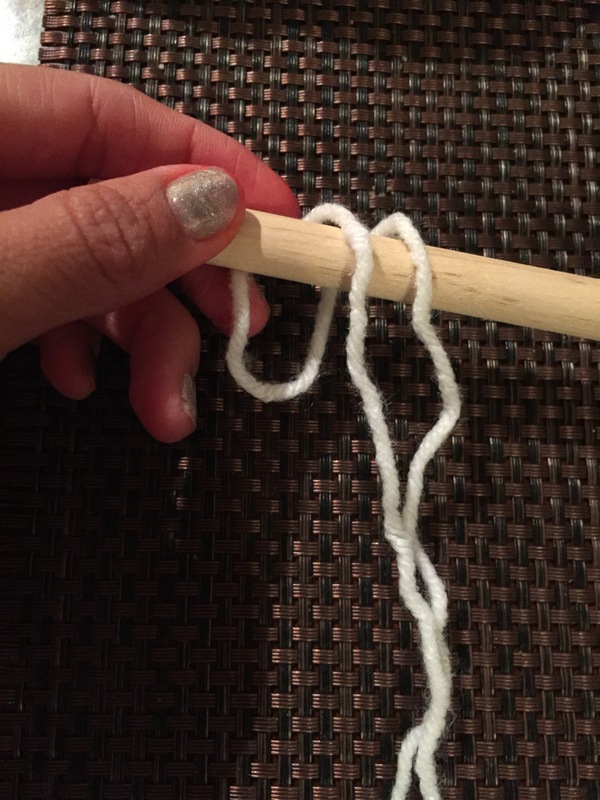 I continued to tie each piece of yarn across the dowel. 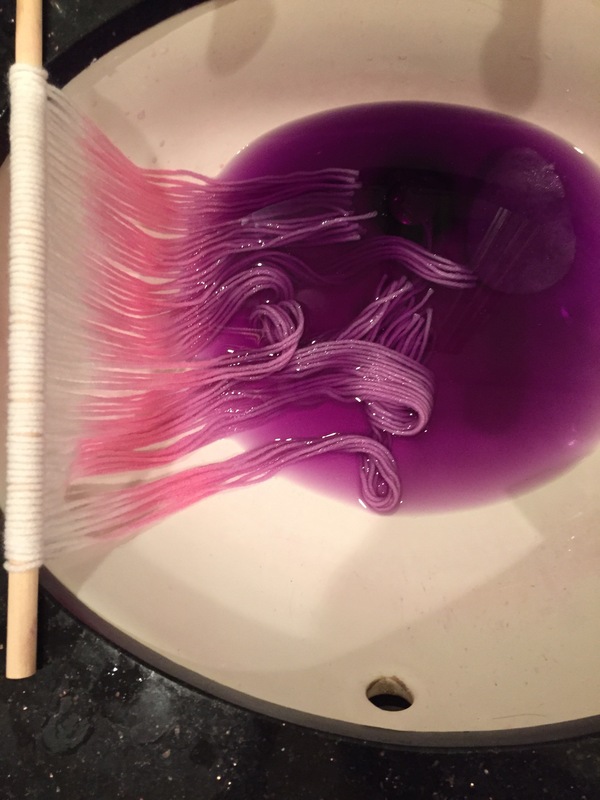 Then I got the rit dye ready in the sink. All I had to do was to place the dye powder in hot water and stir it. Then I dipped my yarn in the pink dye first. After 20 minutes I did the same process but with the purple dye. Definitely wear gloves because it will stain your skin. After 20 minutes in the purple dye, I squeezed out all the water from the yarn then blow dried it. I cut the the yarn short from the start and left the end of it long to add some kind of style to it. 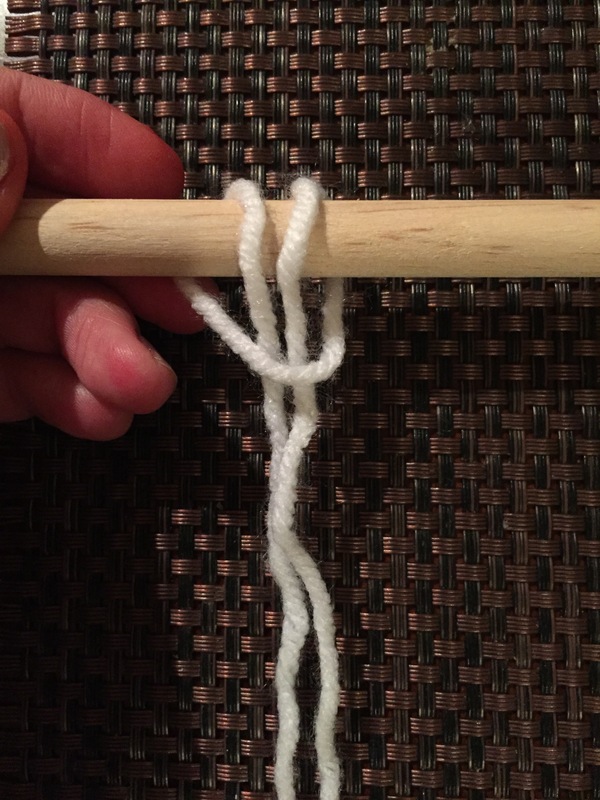 Then I cut another piece of yarn and tied it on both ends so that it can hang on a wall. I have never used rit dye but it was really easy and simple. 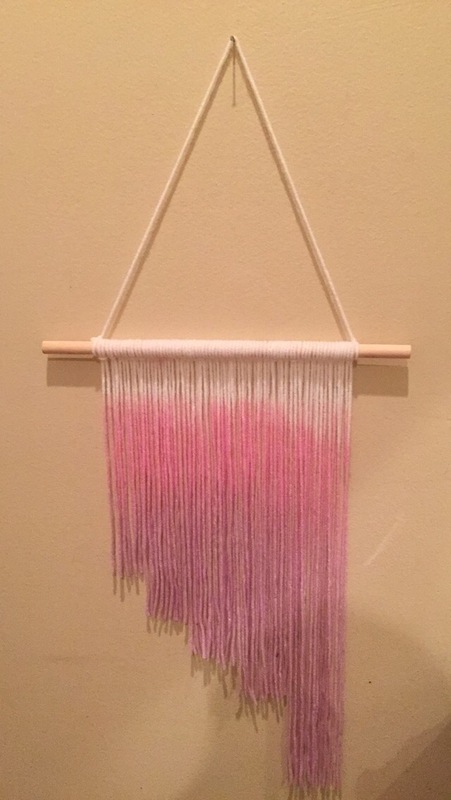 This is also my first time making a wall hanging from fiber. 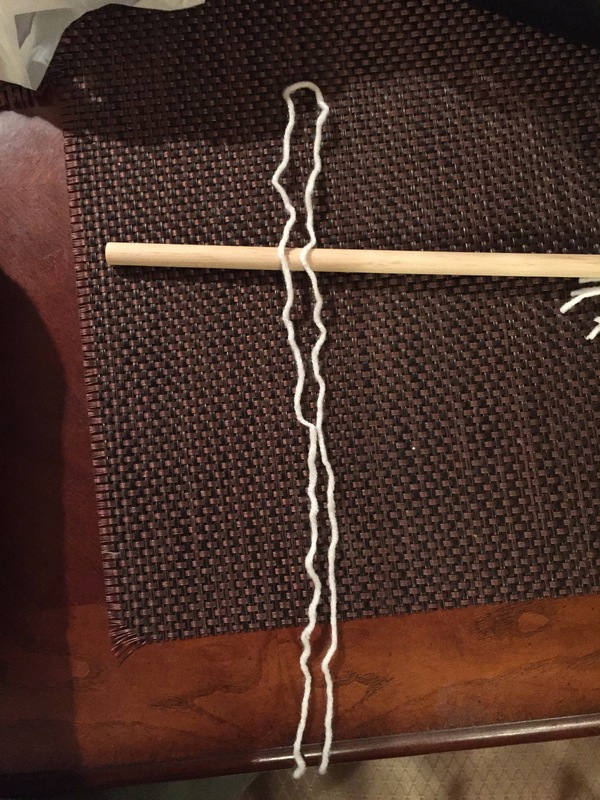 The whole process was easy but it was time consuming cutting and tying each piece of yarn to the dowel. I think it took me about an hour to tie the yarn. I thought the pink and purple dye was going to be brighter but I like that it came out as a pastel pink and purple. I liked this activity it was satisfying and I’m happy with the results. It made me feel crafty. 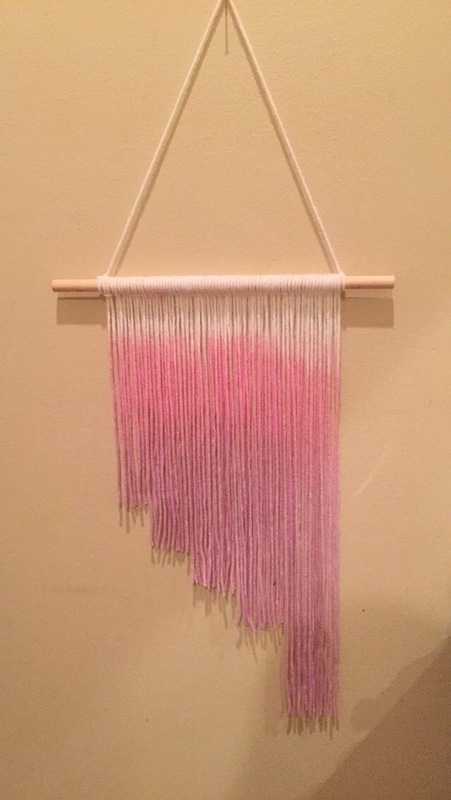 I think this activity did change my view of fiber art because you can do so many things with yarn and make it into a wall hanging. It is satisfying to know that this creation on my wall was made by me and I think it came out great. It opened my eyes to new ways to decorate my room or anywhere in my house.